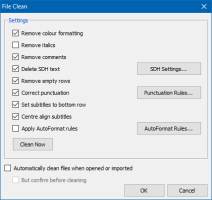 Originate, edit, time, reformat and QC subtitle files faster and more accurately than ever before with our advanced all-in-one subtitling system. No need for costly add-ons or different versions - Spot does everything you want straight out of the box. 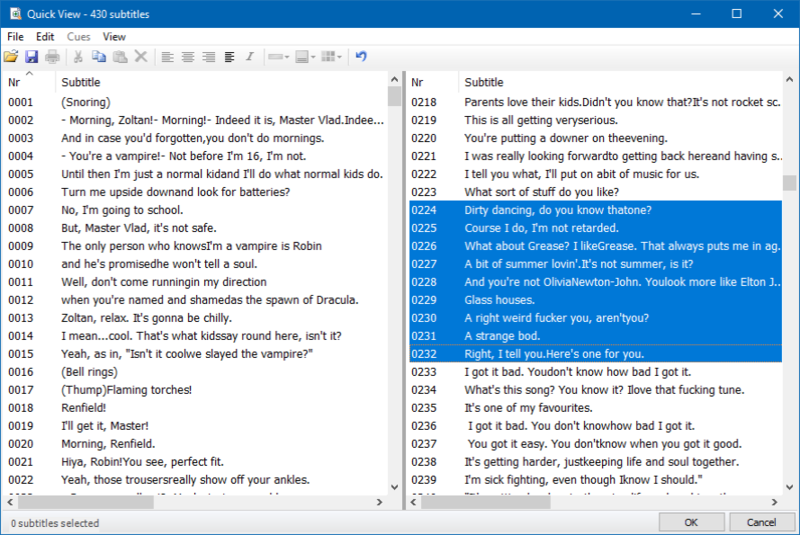 You'd be hard pressed to find a subtitling system with more advanced editing functions than Spot. 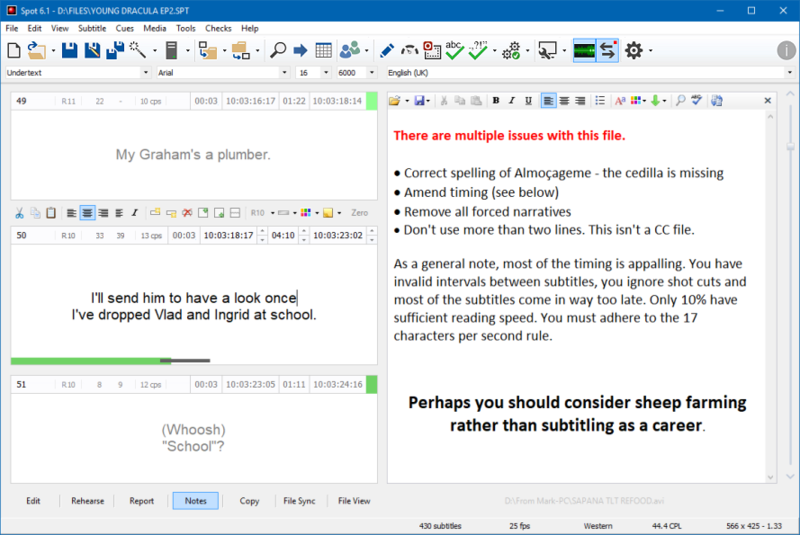 Add formatting to multiple subtitles simultaneously, assign shortcuts to hard to remember words or phrases, check spelling, find synonyms, create punctuation rules for different clients, automatically clean and reformat files, QC files and get immediate error feedback with a single click, insert blocks of subtitles from external files, list all references to a word or phrase, create dual language subtitle files, use the Notes window to translate a documentary or create a script, merge a subtitling template into the current file and use its times, create dual language files or split one into separate files, translate subtitles via Google... The list goes on and on. Frame-accurate subtitling needn't be a chore. 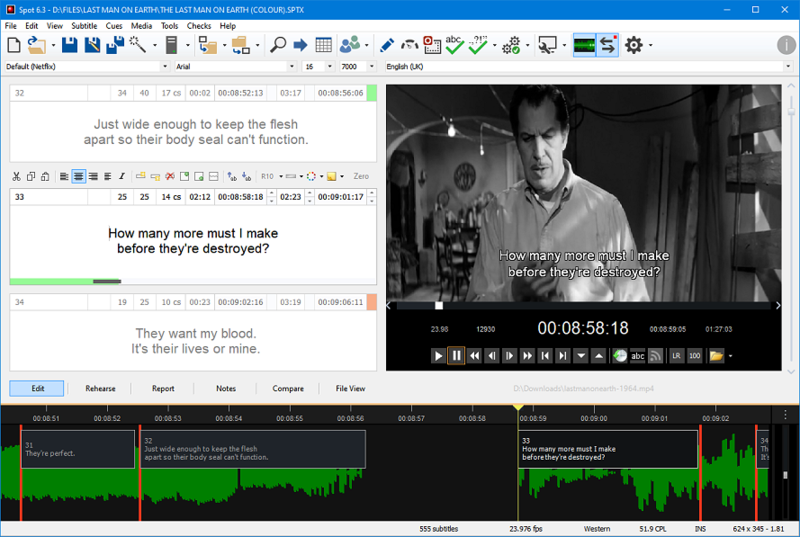 Use Spot's audio waveform to synchronise subtitles to speech; find shot cuts in a video and jump instantly between them; grab the current in cue and lock it to the previous subtitle with one keystroke; fine-tune in and out times with simple key combinations; get instant readability feedback from Spot's unique colour-coded timing fields. Intelligent offset and cue conversion lets you accurately convert between video standards and quickly sync files orignally timed at a different frame rate. As well as spotting against almost any video file format (MPEG-1, AVI, MPEG-4, WMV, MOV, etc), you can also load audio files into Spot or select separate video and audio sources. And if the video file you've just opened contains embedded timecode, Spot can sync to that rather than its own internal clock. Easy-to-use playback controls allow you to navigate instantly to any point within a media file: replay the last few seconds, move forwards or backwards a frame at a time, jump straight to the last or next shot cut. If that huge client-supplied 4K video is causing problems, Spot's built-in video converter will quickly convert it to a subtitling-friendly format. If the audio is too low, you can boost it during the conversion process and even log shot cuts at the same time. Advanced troubleshooting features include the ability to view the components used to render a media file and select the decoders or splitters you want to use. 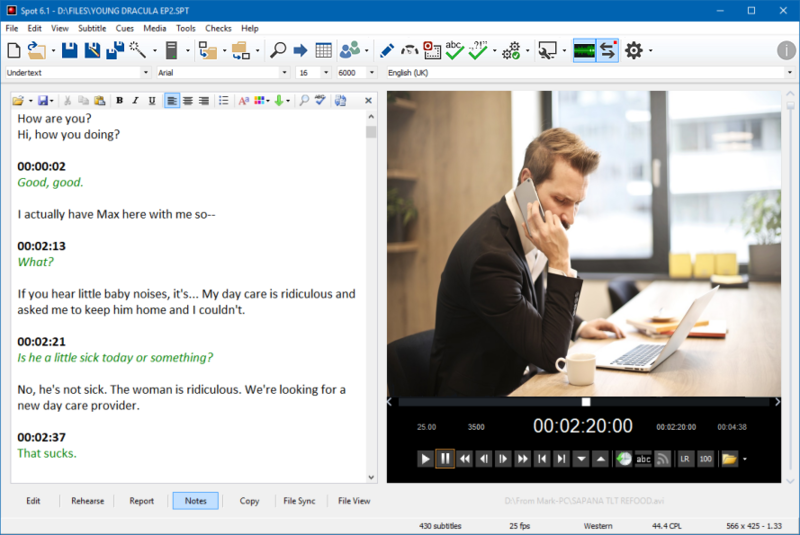 Create subtitled videos in any format for client approval or digital broadcast with complete control over fonts, positioning and video and audio bitrates. Spot can import and export a wide range of professional and other subtitle formats, so whether you're creating subtitles for television broadcast, Blu-ray, DVD, digital cinema, Netflix, Amazon or YouTube, we've got you covered. 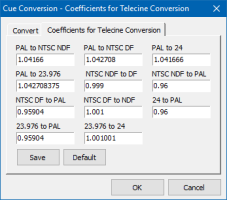 The Quick Batch Convert tool converts one or more files to any of two dozen formats with optional cue offsetting, while the Multi-Format Export window lets you export a file in over 20 different formats simultaneously. HD and DVD bitmap export modules give you precise control over the placement and appearance of bitmap subtitles for Blu-ray, 2K, 4K and DVD authoring systems. Anti-alias effects, alpha blending and transparency levels are all user-definable and produce some of the best-looking subtitles this side of Wangaratta. 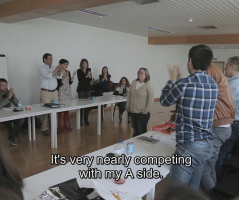 Spot Software, based in Amsterdam, Holland, has been developing subtitling software since 1997. Because we're subtitlers ourselves, we know which tools you need to get the job done as quickly and as accurately as possible. Our popular subtitling system Spot, one of the first affordable subtitling systems on the market, builds on this experience. Thanks to its wide range of advanced features, user-friendly interface and accessible price tag, Spot has become the tool of choice for hundreds of professional subtitlers and post-production houses throughout Europe.